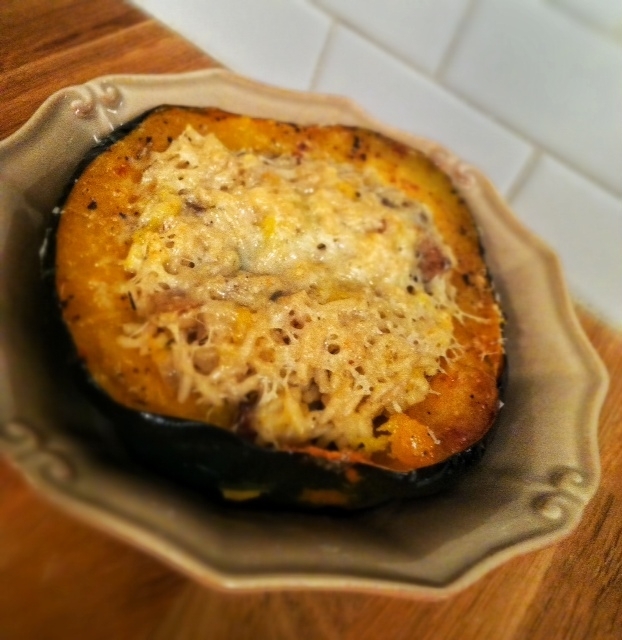 Stuffed Acorn Squash and Happy November! The first day of the month is always my favorite day of any month. So many things to look forward to and so many meals to plan! Like a lot of people I love the usual things that come with fall, like the leaves, the brisk temperatures and football. However, as you can imagine my favorite thing about fall is the food! 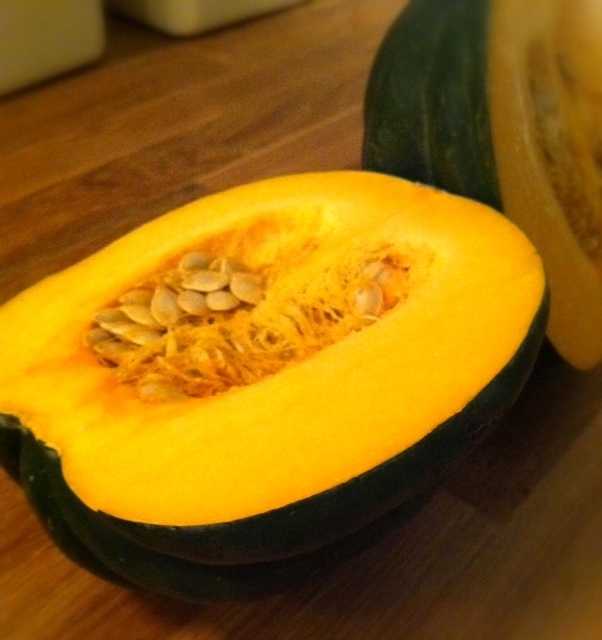 In particular, all things pumpkin and squash. For some reason to me, stuffed veggies look complicated and elegant but these are really quite simple. First you just cut the squash in half and remove the “guts”. 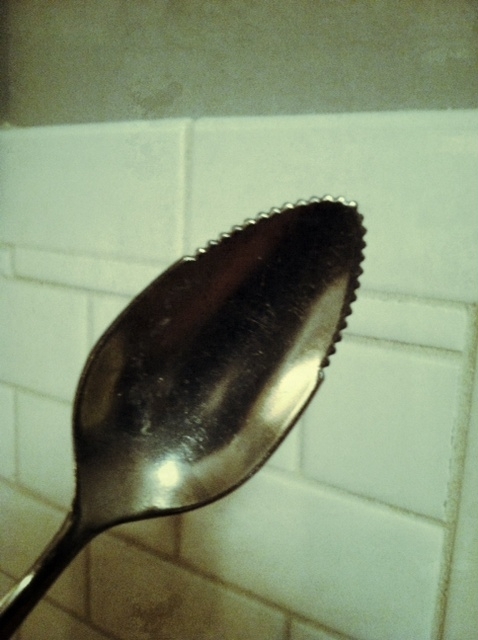 I find the simplest way to do this is with a grapefruit spoon. 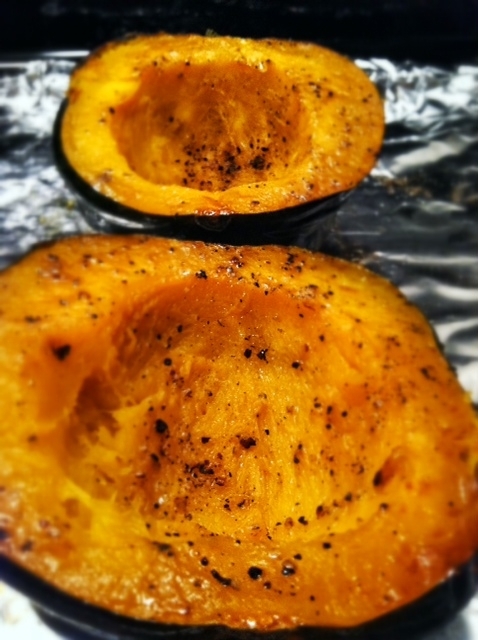 Next you line a cookie sheet with aluminum foil and roast the squash which just involves your oven, olive oil, salt and pepper. That’s easy enough. Meanwhile, you make the rice to stuff into the squash. Now the kitchen is smelling divine. 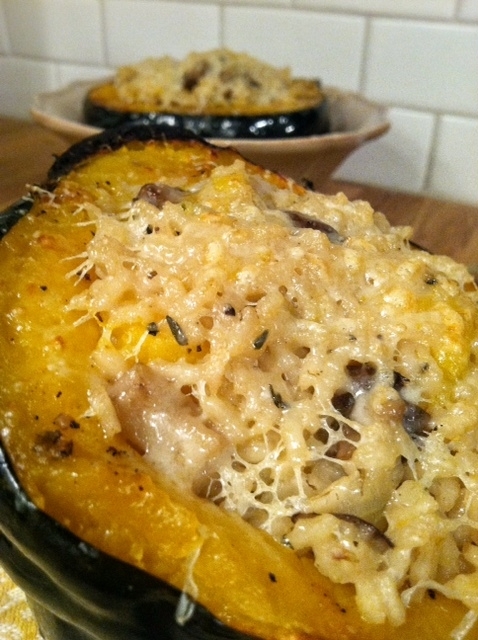 When the rice is ready, stuff the squash and top with Parmesan cheese and broil in the oven for two minutes. Now it’s ready to eat! Easiest when eaten in a bowl. Otherwise you’ll be chasing that squash all over the plate! Trust me! Meanwile in a medium straight sided skillet, heat remaining oil over medium high heat. Add mushrooms, onion and thyme. Season with salt and pepper. Saute until mushrooms are golden. Add garlic. Saute 1 minute. Add rice and broth and bring to a boil. Cover and reduce heat to low. 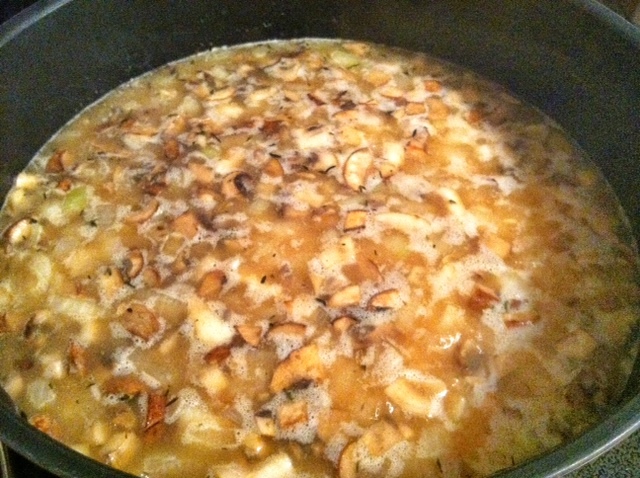 Simmer until liquid is absorbed, about 15-20 minutes. 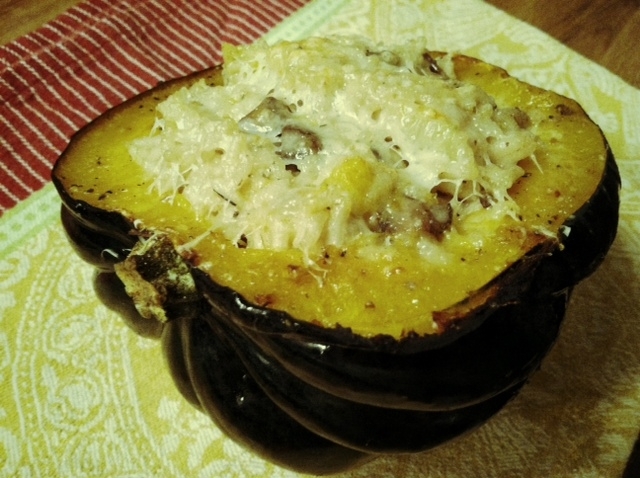 Carefully scoop out 2 to 3 tablespoons of flesh from each squash have and stir into rice. Season rice with salt and pepper to taste. Divide rice mixture among the squash halves. Sprinkle each half with Parmesan and broil for 2 minutes.